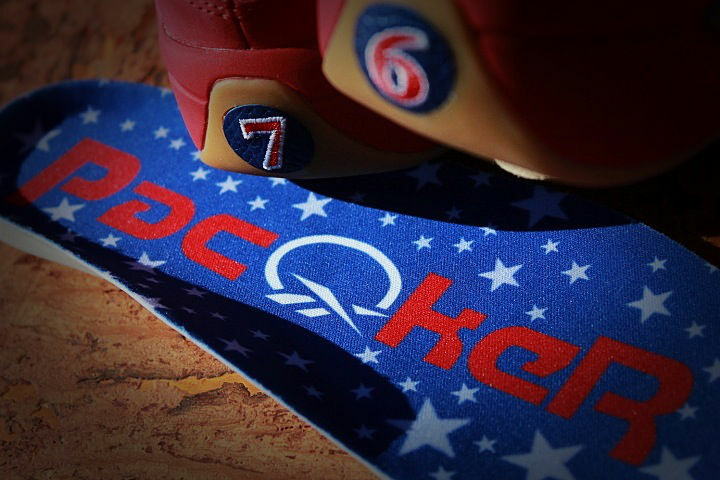 Following the success of last month's "Practice" Reebok Question release, Jersey-based retailer Packer Shoes drops a teaser for a second pair of Allen Iverson's debut sig. Following the success of last month's "Practice" Reebok Question release, Jersey-based retailer Packer Shoes drops a teaser for a second pair of Allen Iverson's debut sig. While the concept is under wraps at the moment, the photo previews a red-based Question with gum soles, '76' heel tabs and custom Packer insoles. No word on a release date at the moment, but we'll provide you with updated information when it becomes available. Are you a fan of what you see thus far?